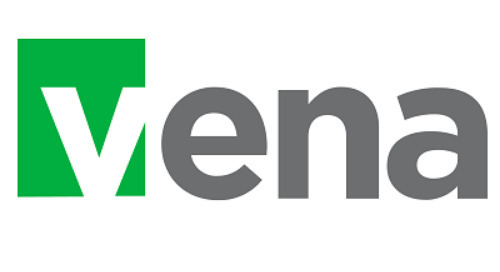 TORONTO – Dec. 5, 2018 – Vena Solutions, the fastest growing provider of cloud-based financial planning and analysis (FP&A) software, today announced its latest product release featuring new Ad Hoc Analysis capabilities and several other new features including improved modeler, manager and administrator experiences. Vena continues to bring innovation to its platform, and is trusted by hundreds of worldwide customers and ranked number one in customer satisfaction. 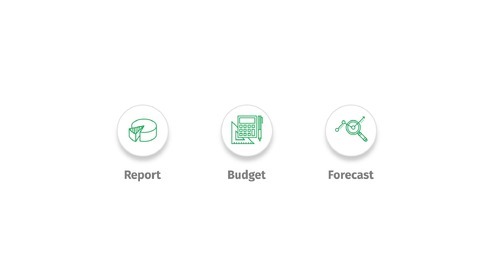 With today’s release, it’s even easier for finance teams to use Vena to analyze, explore and gain new insights into their data in a matter of seconds. Ad Hoc Analysis. Customers can design reports, explore data and get new insights in seconds using Vena’s intuitive Ad Hoc Analysis functionality. The new feature allows for deeper and more insightful analysis, and is built to work the way finance professionals think. With Vena, customers can tap into powerful data analytics within the comfort and flexibility of Excel, navigating company-wide data to uncover new perspectives on their past and future performance. Improved Manager Interface. 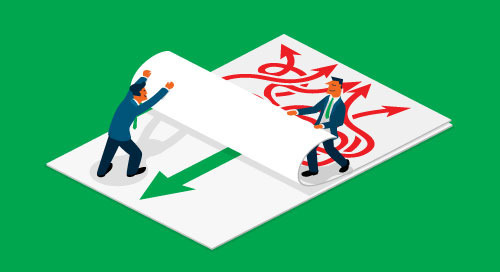 The new Vena Manager interface makes it easier for budget owners and other managers to navigate across folders, processes and tasks – all with fewer clicks and significantly faster load times. Coupled with improved search and filtering options, Vena lets users focus on what really matters: growing the business. 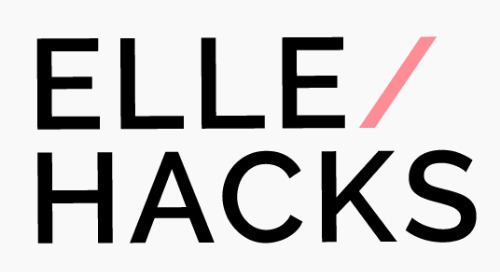 Interactive Status Tracker. Vena’s new status tracker provides even more traceable metrics so managers can track all of their business processes in a single view – including overdue tasks, percentage of tasks completed, and a calendar view of all tasks and their status. Managers can easily stay on top and in control of all their projects and processes. New Mapping Efficiencies. With the New Mapping Summary, users can quickly and easily understand templates. Accounts, departments and business units are conveniently summarized, allowing for updates and changes to be reflected in templates within seconds. Now, users can automatically map rows, columns pages and form variables with fewer clicks, and save time mapping templates with the new Copy and Paste feature. They can also audit template data and review who made what data saves when using Vena’s new preview and export intersections capability. 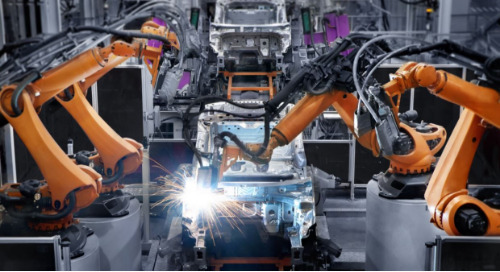 Integration and Modeling Enhancements. Customers can streamline their Power BI and Vena data integrations, uncover new insights in seconds using Vena’s enhanced data integrations and deliver these insights throughout their organizations with beautiful reports and dashboards. New enhancements in data exports empower customers to do more with their data, as well as enabling the export any or all data sets directly from Vena’s centralized database. 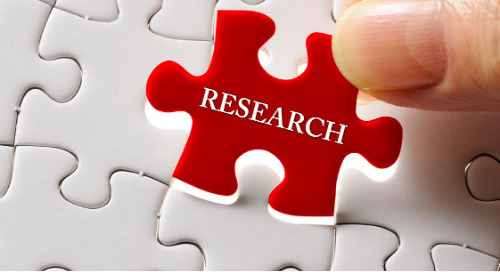 “Offering new Ad Hoc Analysis capabilities and more, Vena's latest release will benefit users by enabling them to analyze, explore and gain new insights into their data more quickly than before," said Craig Schiff, president and CEO, BPM Partners. “Vena's deep integration with Excel - the tool that FP&A professionals already know and use every day - continues to be a key differentiator for the company. These and other factors, including an intense focus on its customers, are reasons why Vena continues to rank high for customer satisfaction." 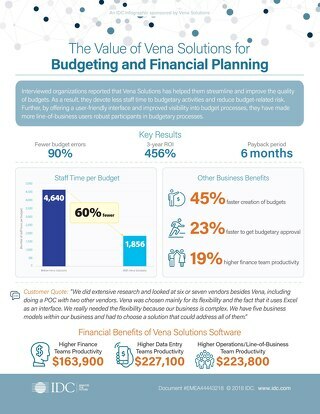 To transform finance departments and automate financial processes such as budgeting, planning, forecasting and reporting, Vena offers customers an enterprise-grade FP&A platform combining workflow automation and a centralized cloud database with a unique Excel interface. 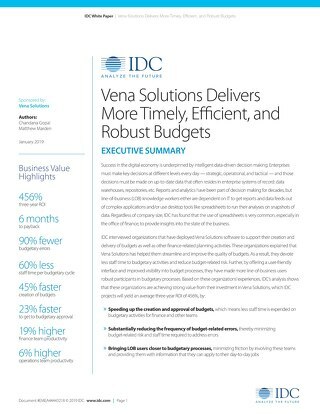 Unlike traditional solutions that try to replace Excel with rigid, hard-to-use software, Vena is recognized by customers and analysts alike as the easiest way to get trusted numbers and insights – fast. Vena’s new software release is available to existing and new clients today. Pricing is built into the company’s annual subscription plans. For more information see the product release details. 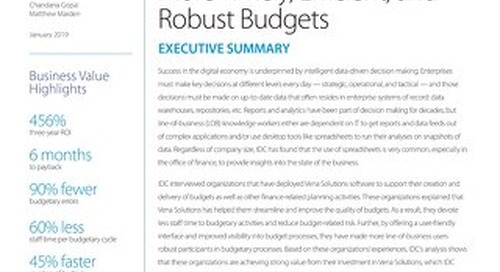 Vena Solutions redefines how medium and large companies manage their budgeting, planning and forecasting. Vena provides a cloud-based financial planning and analysis (FP&A) solution that combines Excel with a centralized database, sophisticated workflow, powerful reporting and advanced analytics. Almost 500 of the world’s best companies use Vena to get trusted insights that drive faster, smarter business decisions. Vena is the fastest growing company in its sector and recognized leader in customer satisfaction and product usability. 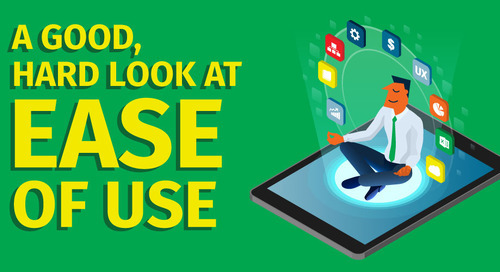 Visit us at venasolutions.com. 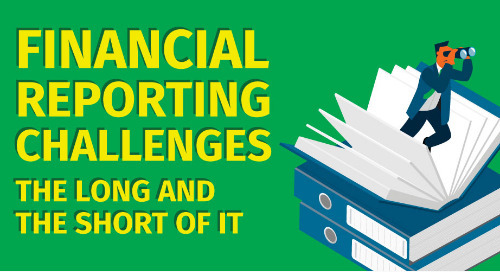 The power of an enterprise-grade budgeting solution combined with the intuitive interface of Excel. 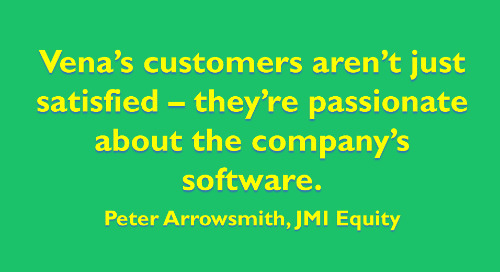 See the best of both worlds...finance software that works the way you think. 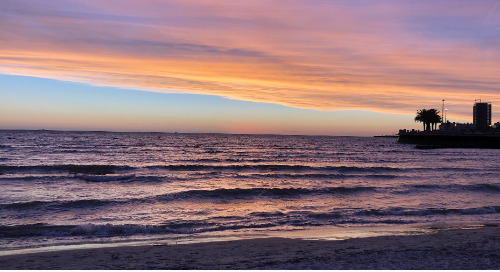 Toronto software developer Mustafa Haddara spent 6 weeks working from Montevideo, Uruguay. See what made remote work succeed for him and his team, whether from across the globe...or across the street. 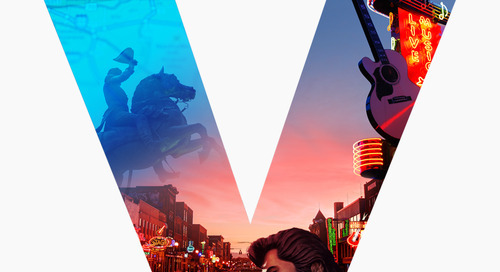 Vena Solutions to host global finance leaders at annual user conference with notorious keynote, Gartner analyst briefing, CPE-credit training in Nashville. 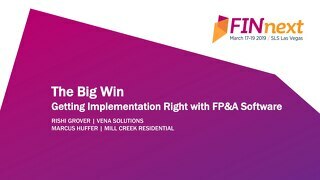 Originally presented at the annual FinNext FP&A conference, learn from Vena and Mill Creek Residential why implementation is so important with FP&A software, and how to do it right. 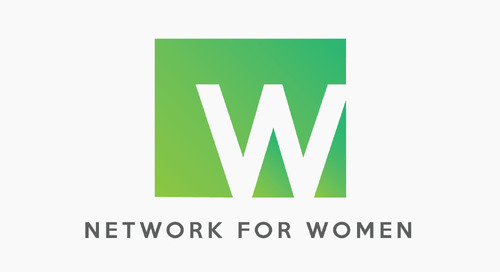 N4W addresses the challenges and hurdles women+ experience in the workplace by providing opportunities and support for women in tech to achieve success on their own terms. 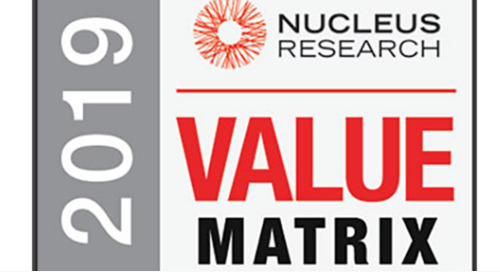 JMI Equity and existing backer Centana Growth lead a new round of financing, valuing the scale-up at more than $300-million. 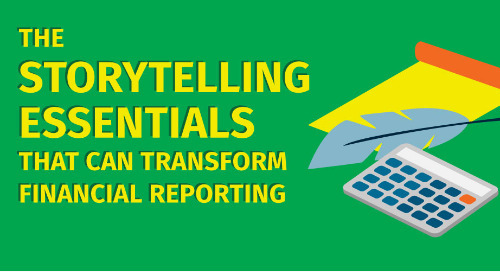 Companies have a right to ask tough questions when they’re asked to spend on new technologies. 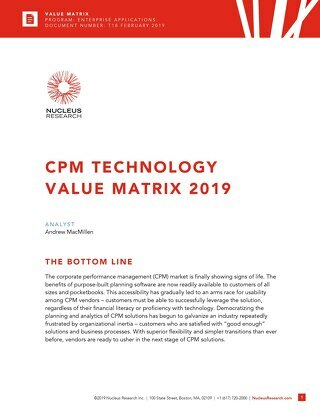 Here’s how to tackle the most common ones for FP&A software.